Yum! 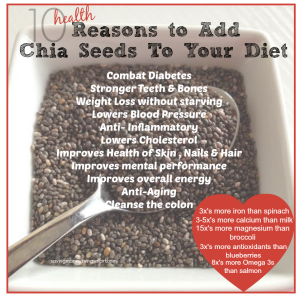 Chia seeds are a great source of nutrients! Have you added them to your diet yet? What a great way to reduce inflammation, lower cholesterol, cleanse your colon, fight against diabetes, and give energy without all the caffeine-sugar-laden junk food ideas! 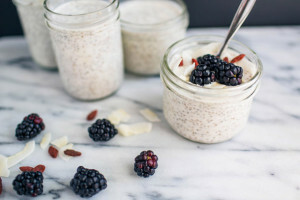 I enjoy making an easy 3 ingredient chia seed pudding but sometimes add a drizzle of maple syrup along with the vanilla. This is a great substitute for tapioca pudding if you can’t have dairy milk! Click on the Wellness Mama link below in the resources to get a great energy bar recipe! 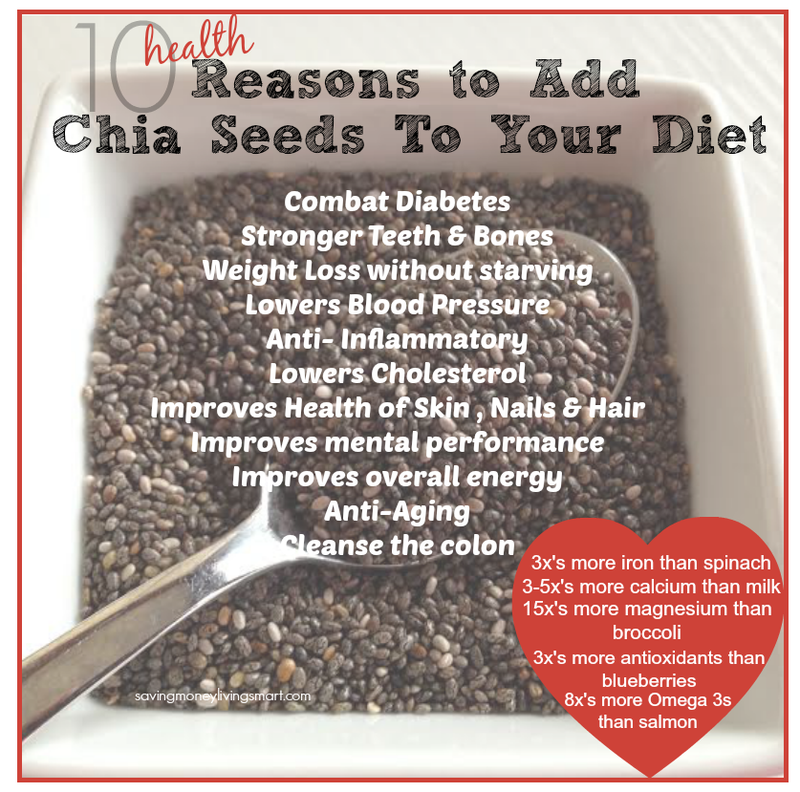 Enjoy this superfood and please comment below on how you use chia seeds! Here are some recipe ideas!